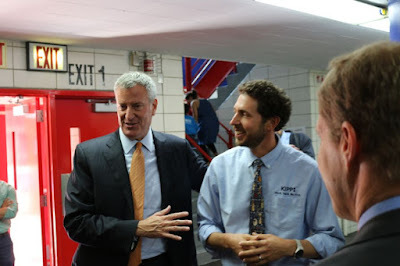 Mayor Bill de Blasio with KIPP co-founder David Levin at KIPP Infinity Middle School. A dispute between one of the city’s most visible charter networks and the country’s largest local teachers union sparked a federal lawsuit this week, with KIPP asking the courts to block the union from enforcing its contract at a South Bronx charter school. The argument centers on KIPP Academy Charter School, the first of the network’s schools to open in the city, and whether it is covered by the contract between the city and the United Federation of Teachers. Most charter schools are not unionized — a feature, many operators argue, that is essential for sidestepping burdensome rules that get in the way of offering a sound education. But KIPP Academy is a “conversion” charter school, an unusual arrangement in which a traditional public school morphs into a charter. The UFT argues that under state law its conversion status means its staff is covered by the contract that governs traditional public schools. KIPP’s lawsuit, on the other hand, argues that its teachers never voted for union representation, and before now “other than collecting union dues from KIPP teachers and staff, the UFT never carried out any representative functions in relation to them. Since the school’s founding over 16 years ago, according to the complaint, the UFT never objected to the salaries and scheduling arrangements that have existed at the school for years and which are obviously inconsistent with the union contract. KIPP’s lawsuit stems from a laundry list of contract violations brought by the UFT, and the union’s insistence that those complaints be heard by an arbitrator. Union officials said the complaints were motivated by a group of staff members who raised objections to their working conditions. “Our day runs from 7:20 in the morning to 5:15 in the afternoon, so we’re there for nine hours and 55 minutes a day, and most of the time, there are no breaks,” KIPP Academy teacher Fatima Wilson, one of the teachers who approached the union, told the American Prospect. The dispute has already been to court once: Last year, a state judge refused to block the arbitration process, a partial victory for the UFT. The union’s general counsel, Adam Ross, said in a statement that KIPP’s lawsuit amounted to “legal maneuvers” instead of “working with the union to address their employees’ legitimate concern. The charter network is now asking the federal court to step in and keep the UFT from enforcing its contract. In a letter to its staff earlier this week, KIPP superintendent Jim Manly implied that the lawsuit is needed to ensure the school can continue to foster teacher growth and collaboration. 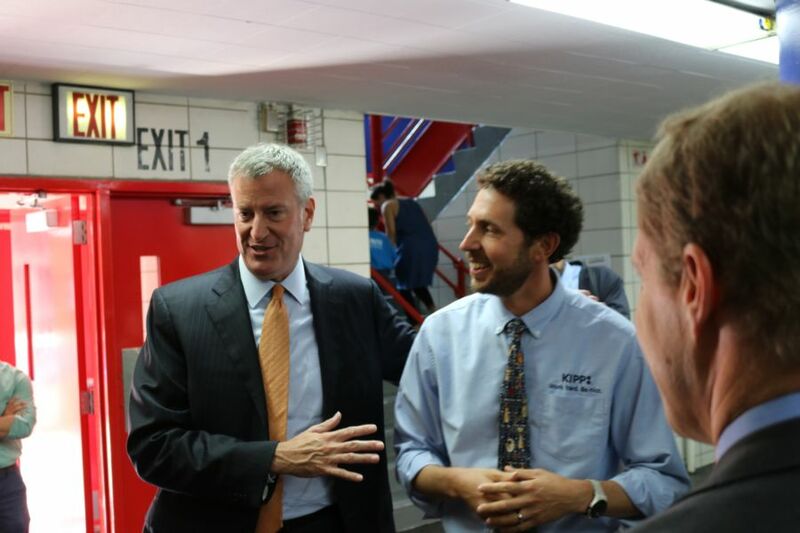 “We are continuing to argue that KIPP Academy always has had, and wants to maintain, the right to solve problems together — without outside interference,” he wrote. Editor’s Note: This story has been changed to clarify the intent of KIPP’s lawsuit.